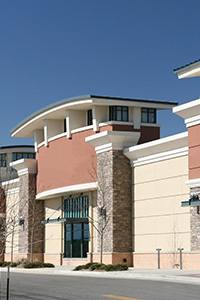 Golden West Exteriors specializes in commercial and industrial roofs for new construction. If you are a general contractor, developer, architect, or building owner, give us a call to discuss your new project. Building a new commercial property from scratch is a complex process requiring precise coordination with multiple service providers and manufacturers. So, our project management process is detailed to account for each and every step of the process, and flexible enough to integrate with the communication styles and management strategies of every partner involved in getting your new building up and running. Call today to discuss your new building project.